Evanston resident Sandy Horton reaches for a book at the Evanston Public Library. The city has a strong reading culture, and around 185 people signed up for a city-wide book club. Though it’s a city with a population of about 75,000 people, Evanston has a lot going on for people who like books, reading and everything in between. Nina Kavin, the founder of the Dear Evanston Racial Justice Book Group, started the city-wide book club three years ago to encourage dialogue about racial justice, and today, it has grown to include 185 people. On Tuesday, the club discussed “White Fragility: Why It’s So Hard for White People to Talk About Racism” by Robin DiAngelo. With 12 bookstores, an extensive public library system and many avid bibliophiles, Evanston outreads many U.S. cities with a similar population. In comparison, New York City has a people-to-bookstore ratio of about 10,000 residents per bookstore. Evanston boasts a ratio of 6,250 residents per shop. Kavin also said she thought the city’s high interest in books partially stems from a well-educated population. She added that having a “huge, world-class university” in the city probably contributes to Evanston’s readership. For Kavin, she said she has received support from the reading community in Evanston. Local bookstore Bookends and Beginnings gives a 15 percent discount to people purchasing books for Kavin’s book club, and the store gives her five free copies of the chosen title. Nina Barrett, the owner of Bookends and Beginnings, said she thought the book club was so successful because many people in Evanston want to discuss race relations. “There are people who want to have a look at what the tougher issues in society are, and they believe books are a part of that,” she said. When Barrett first moved to Evanston in 1985, she was “mystified” to discover that most of the most of the bookstores in the city were chains, like Borders and Barnes and Noble. Because of her passion for independent bookstores, Barrett decided to open her store. Barrett added that part of the reason she chose Evanston in which to open a business was the number of authors nearby. Elizabeth Bird, the collection development manager at Evanston Public Library, agreed that residents think books are important. When she worked at a branch of the New York Public Library in downtown Manhattan, she could sit there for hours before a patron would enter, but she said in Evanston, the library is always busy. Bird added that the close proximity to Chicago contributes to why so many residents enjoy and engage with books, since many big-name authors hold events downtown. The presence of school librarians in Evanston/Skokie School District 65 and Evanston Township High School/District 202 also helps, she said. SESP first-year Claire Koster said she also loved the reading atmosphere of Evanston. She appreciated the size of the library in particular and the number of free services it offers beyond books, like the new social worker. The number of bookstores and quality of the library even played a role in her college decision, she said. 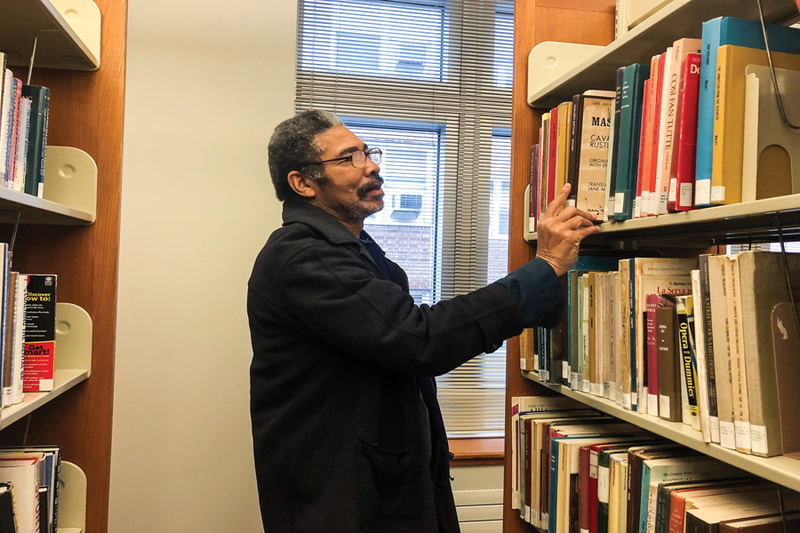 “I would have made do, but the fact that we’re so close to really wonderful bookstores and a really good library all within a 10-minute walk is pretty idyllic and wonderful,” Koster said. And for a lot of residents, the reading institutions are what make Evanston special.